The 2019 Season Schedule is AVAILABLE HERE! Call 716-949-3551 to register today! Current and New riders click here for registration information. Current and New volunteers click here for application and orientation information. Interested in sponsoring one of our incredible program horses? Click here. Thank you for your support of the 2018 Boots & Bling Barn Dance! Thank you Michael Mroziak for this wonderful piece about Lothlorien's Way of the Warrior Program! From the WBFO Veterans News Desk, Michael Mroziak reports on a visit to Lothlorien Therapeutic Riding Center, where horses and veterans bonded in a non-riding exercise designed to help the veterans become more open with feelings locked in, perhaps as the result of post-combat stress. LOTHLORIEN IS HONORED TO COLLABORATE WITH THE WOUNDED WARRIOR PROJECT FOR THEIR PROJECT ODYSSEY WORKSHOPS. CLICK HERE TO WATCH HOW HORSES AT LOTHLORIEN ARE HELPING VETERANS HEAL! - Video produced by Peter and Nancy Proulx. Thank you! CLICK HERE FOR A GREAT ARTICLE ABOUT LTRC IN The BUFFALO MAGAZINE! CLICK HERE FOR A GREAT YOUTUBE VIDEO ABOUT LTRC, WRITTEN AND PRODUCED BY MORGAN REISDORF AND CHRIS BIGOUETTE! THANKS MORGAN AND CHRIS! Click here for a beautiful article written by LTRC volunteer Karen Illig for Net Assets magazine. "I love LTRC! I spend alot of my time there volunteering and caring for the horses. The horses may have drawn me to LTRC, but it is the amazing people that have kept me coming! It is truly a miracle - the Healing Power of a Horse - no wonder one can feel so at peace in their presence... A special thanks to LTRC's hardworking horses, dedicated volunteers and awesome instructors for making LTRC such a special place and my home away from home." Like us on Facebook! 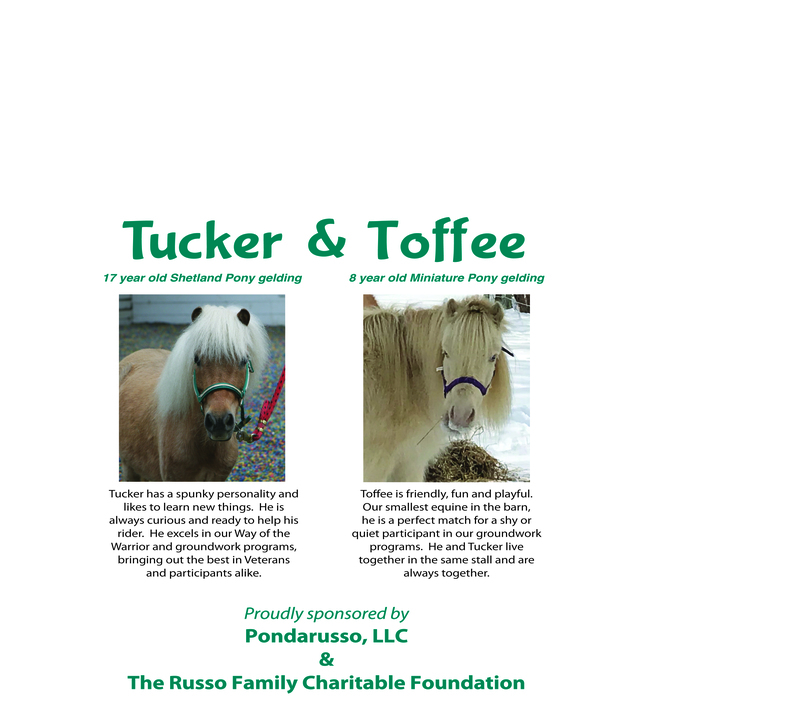 Visit Lothlorien Therapeutic Riding Ctr. for updates, pictures, volunteer information and more! We are always looking for new volunteers to add to our tremendous family of helpers! If you are age 14 or older, interested in horses and helping people, we're a great fit! Click here for more details, call 716-655-1335 or email for more information today! Riders Elise and Nicola Steck enjoy The Children's Guild Foundation Sensory Trail with Silky, Nibbles and volunteers Lore, Janice, Sharon and Amy. Mac, Stoney, and Higgins having a great time in the pastures! Thank you for the great picture Amanda Gaczewski! Lothlorien was honored to have local veterans join us for a day of riding, grooming and horsemanship. Thank you to Joe Ruszala for making this day happen and for the great pictures! For more information about Lothlorien's Veterans' Program please click here.